Kilohearts are going all out this year and offering the lowest MSRP ever on the kHs Toolbox. With this years additions the bundle is now up to 25 effects plugins, and the modular plugin Snap Heap that powers the rest of them up! You won't find another sound design bundle out there that can compete with the kHs Toolbox in content and price! The Kilohearts Toolbox will change the way you think about sound design forever. 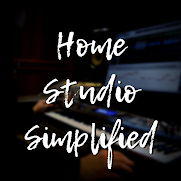 It contains a huge number of high-quality audio effect building blocks and Snap Heap, the perfect tool for combining them. Together these components offer incredible ease of use and versatility which leads to more creativity and inspiration. Forget about all those complex routings and sends! With The Kilohearts Toolbox you will be quicker then you ever thought possible! Whenever someone buys the kHs Toolbox it's almost irrational not to get Multipass as well. Multipass lets you combine all your Toolbox effects in a band-splitted "rack" for some truly unique possibilities! Carve EQ is hot off the shelves after last weeks release. More articles and reviews are being uploaded each day, and it's had a warm welcome this far. This advanced graphic equalizer plugin rounds out Kilohearts' offer to make it the only plugin brand any aspiring artist needs in the studio.